If you have children who spend more time on the Internet than they should, you can limit their Internet access using the Parental controls feature in the Linksys Connect software. The computers that are restricted cannot access specific websites unless the user knows the password. NOTE: The latest Linksys routers have built-in Parental controls feature in the web-based setup page. To set up your router’s Parental controls using the Linksys Smart Wi-Fi, click here. The computer you are using to setup Parental controls is connected to the router with an Ethernet cable. The time zone on your router should be set according to the time zone in your current location. To know how, click here. Launch the Linksys Connect software, and select Parental controls. For more instructions, click here. 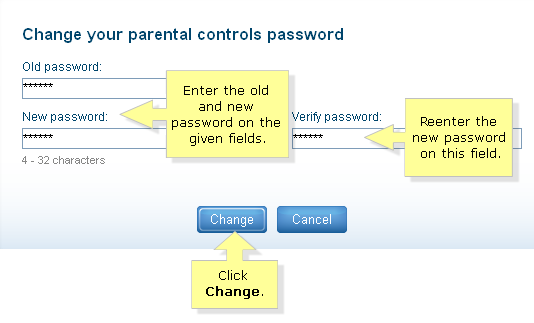 Enter a password in the Parental controls password and Verify password fields. Enter a Secret question and its corresponding Answer in the fields provided. NOTE: These are important security measures to recover a lost password. After saving, you can now select which device you want to restrict. Click OK once done. NOTE: A total of five (5) devices may be set up under Parental controls. QUICK TIP: If your device is not on the list, ensure that the device is connected to the network and that the firewall is disabled. On the Parental controls screen under the Restrict Internet access on section, select the name of the device that you want to edit then click Rename. NOTE: The Teen and Child options in this example are only available for Valet Hotspots. 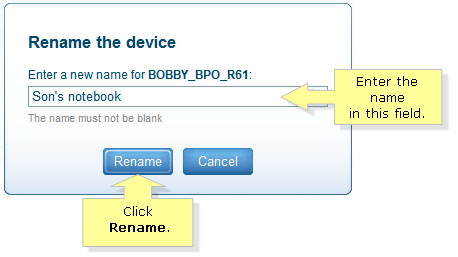 Enter the new name you want for the device then click Rename. NOTE: You will then see the new name of the device under the Parental controls screen. 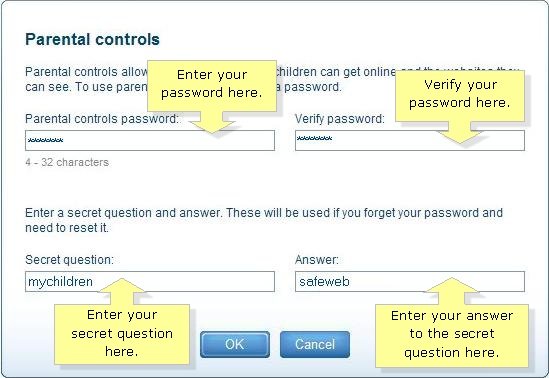 On the Parental controls screen under the Restrict Internet access on section, click Change parental controls password. Enter your Old password in the field provided. Then enter the new password in the New password and Verify password sections. Click Change to confirm. NOTE: The password should only be between 4-32 characters and a combination of number and letters. QUICK TIP: If you forgot your Parental controls password and can’t remember the answer to your Secret question, the only way to change the password is to manually reset your router to its factory default settings. To learn how, click here.